Not all Monsters in Monster Hunter World are created equally. Some fights can be completed easily by simply showing up, while others are a bit more difficult and can often elicit moments of pure rage and salt. This post will focus on the latter of these two types of fights-the Monsters that make you angry. Below you will find the 7 hardest Monsters in Monster Hunter World. Why? : Odogaron is a low rank monster that is actually incredibly tough to fight. 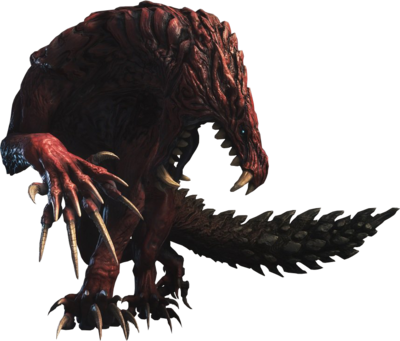 Residing in the Rotten Vale, Odogaron has a fox/weasel like appearance and is capable of packing a serious punch. Odogaron’s most difficult aspect has to be its speed. This monster can move tremendously fast and doesn’t like standing still for a long time. This speed can make fighting the monster with melee weapons hard, especially if you main the greatsword like I do. Speed aside, Odogaron also enjoys causing bleed damage which is unique to this monster. Why? : Some of the earliest dragons you will face in Monster Hunter World are actually very tough to fight. Both Rathian and Rathalos will really test your abilities as a monster hunter. Of the two dragons, however, I found myself having more difficulties with Rathian, so I felt sixth was a good spot for it. The real difficulty in the Rathian fight has to come from the dragons ability to both fireblight and poison stack you. Having to deal with multiple status effect at the same time can be a real pain, especially when trying not to get hit by a really angry dragon. Why? : As the final monster you fight in Monster Hunter World, I had high expectations for how difficult this battle would be. My expectations were not quite reached, but I still found this fight to be on the more difficult side of things. 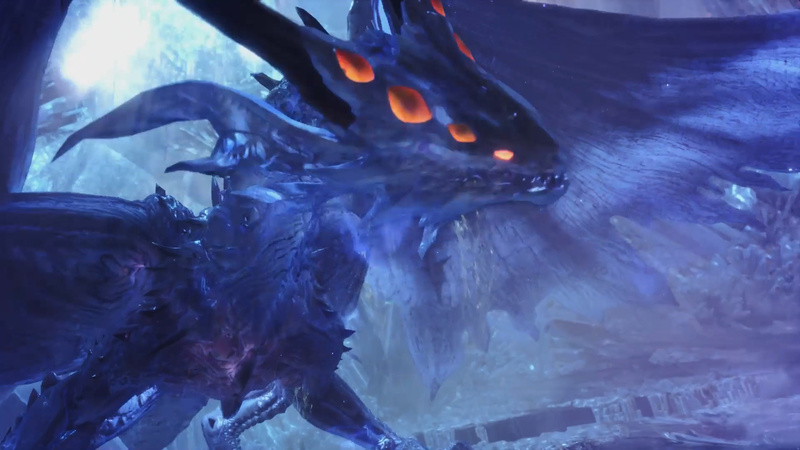 What really makes the fight difficult is Xeno’jiiva’s ability to deal multiple status effects. Running over the fire trails in its enraged state can cause fireblight. Combined this with Xeno’jiiva’s ability to inflict dragonblight, a status effect not seen up to this point, and you have a relatively difficult fight if underprepared. Why? : Of all the subspecies you will face, Black Diablos is easily the worst. Black Diablos takes all the annoying aspects of Diablos (burrowing, charging, jumping out of the sand) and basically dials up the damage to 100. Seriously. Couple the fact that Black Diablos deals an insane amount of damage with its fixation on aggroing you the moment it sees you, and you have a tough fight. Why? 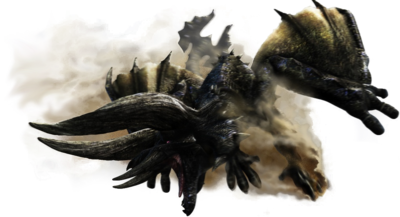 : You’ll probably notice that the top three hardest monsters on my list are elder dragons… There’s good reason for this. Most of the elder dragons you fight in Monster Hunter World are pretty hard-they pack a mean punch and really challenge you during a hunt. 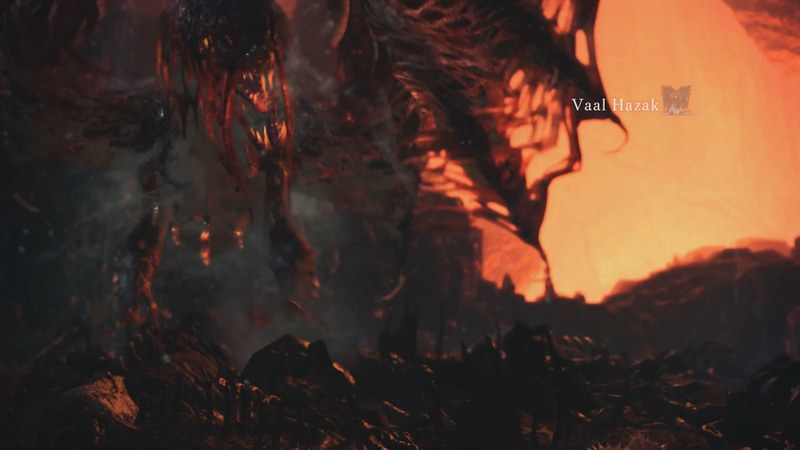 Like the other elder dragons, Vaal Hazak can be a difficult fight as it loves stacking status effect on you. Why? 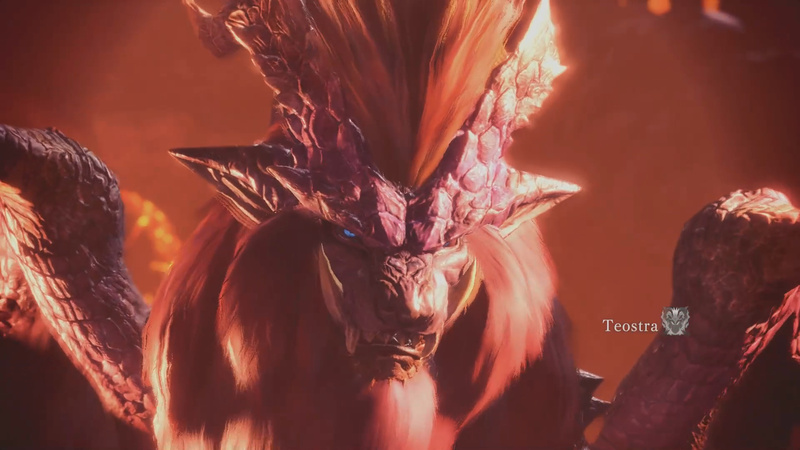 : Teostra, the flame lion looking Elder Dragon can be an incredibly difficult fight for a couple of reasons. The first and most important is the fact the monster resides in the hottest place in Elder’s Recess. This placement means you will take heat damage throughout the fight if you don’t come prepared. Putting the environmental damage aside, the other reason in placing Teostra at second on this list has to be its inferno blast of death. Teostra will stop mid fight and fly up into the air to charge. Once charged, Teostra delivers an infernal blast that can easily one shot you if you are not prepared. I died multiple times to Teostra’s infernal blast and it made me salty. Why? : Nergigante is easily the most frustrating Monster to fight in Monster Hunter World. This is due largely to one single attack the creature has. If you’ve fought Nergigante enough, you probably know exactly which attack I am talking about. 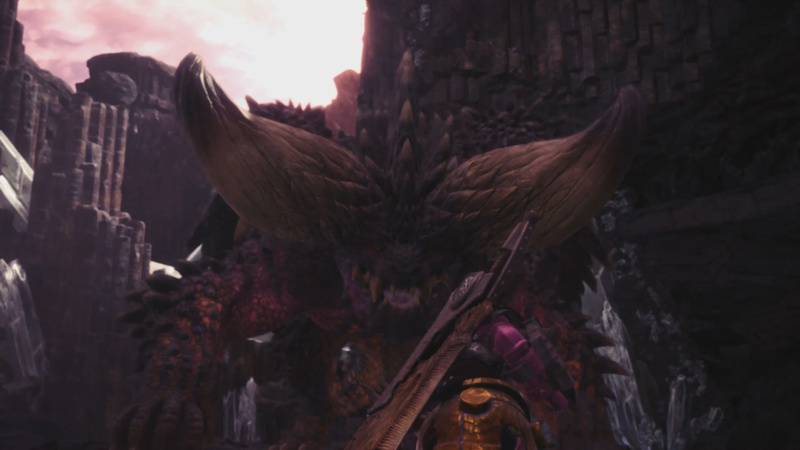 Once you’ve wounded Nergigante and forced it to retreat to its lair, it becomes so enraged it has the ability to one shot you with its diving-spike attack of death. This attack is so deadly it can easily cycle through all your lives in a single hunt, leaving a 20+ minute hunt to be lost with nothing to show for it. Nergigante can be an incredibly punishing fight and is easily the hardest boss in Monster Hunter World. These are my 7 hardest monsters in Monster Hunter World. Let me know yours in The Pit below. Teostra is basen on a Chimäre, ore Manticor. Also his strongest Attack is called Supernove. I dont know, how different he is in World, but hes not too hard in 4U, and there is no G-Rank in World, so he is most likely a Pushover. But a cool Pushover. This List make me realize, what World had no Fatalis. 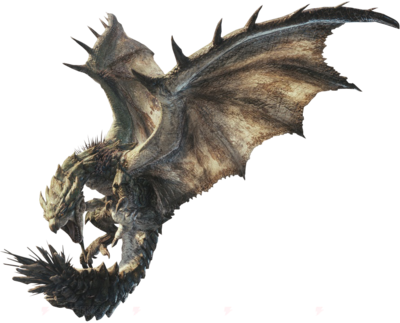 Fatalis, the first Boss of MH and one of the taffest Monsters you can immagine. He can steal halfe of your life just whit an Tailswipe. And Oneshot you whit his Firebreath, even if you have extremly high Defense and Fire Resistence. I wasnt able too handle him yet. But I survived a longer Fight whit Crimson, so im very optimistic. Just finding Vaal Hazak and XenoJiiva at this list confirms that writer’s an absolute trash and need to git gud.